1 | 2 | 3 | 4 | 5 | 6 Who doesn't have a little bit of a handbag obsession?! Well if you don't, then I probably make up for yours! 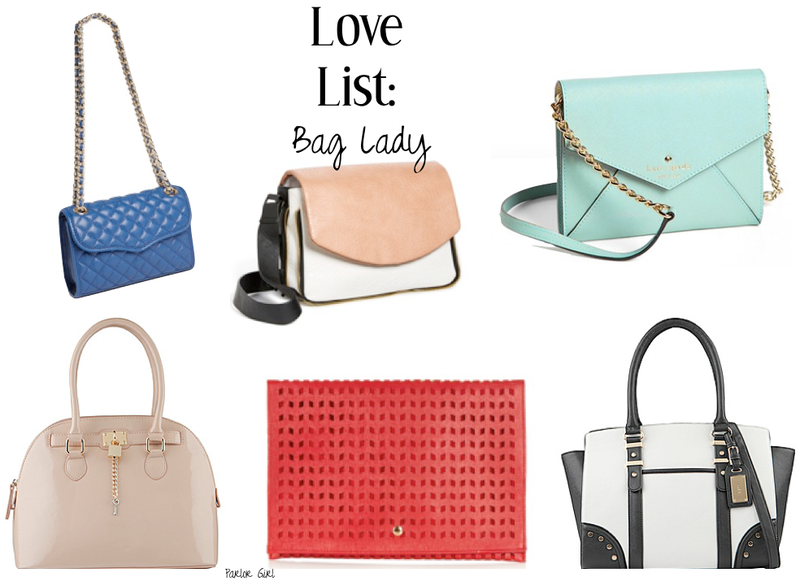 Here are a few of my current favorite handbags and all are relatively affordable options. What type of bag do you carry? Do you switch them out often? Happy Wednesday! Click here to see if you won the Lululemon Giveaway! I actually gifted the black and white aldo purse to my mom for Christmas - it is fantastic in person! I will take all of these bags please!! LOVE! I'll take 4 of those bags. Good picks. That Kate Spade envelope is lovely, the color is great!